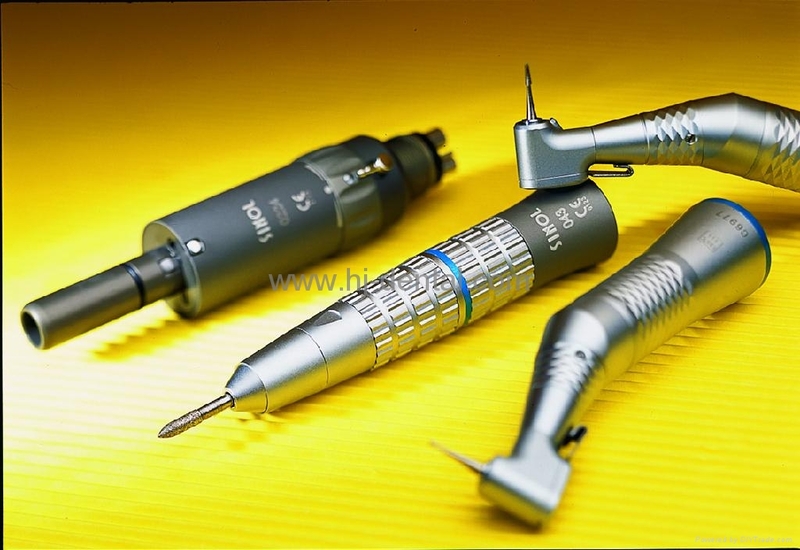 Dental handpiece with W&H technology which is designed by theory of ergonomics adopts miniature high speed ball bearing. To ensure its excellent quality, our dental handpieces are made by precise equipment imported from German SPINNER process center. Therefore, our products rank the national first in export sales. The whole body of handpiece can be sterilized in 135℃ and push button can bring you lots of convenience. A series hygienic handpiece is equipped with build-in anti-retraction system, which can dramatically minimized rate of cross infection and at the same time, reflect its high efficiency and high-tech excellence. SINOL Low speed handpiece is using high technology and original design from Austria W&H Company. 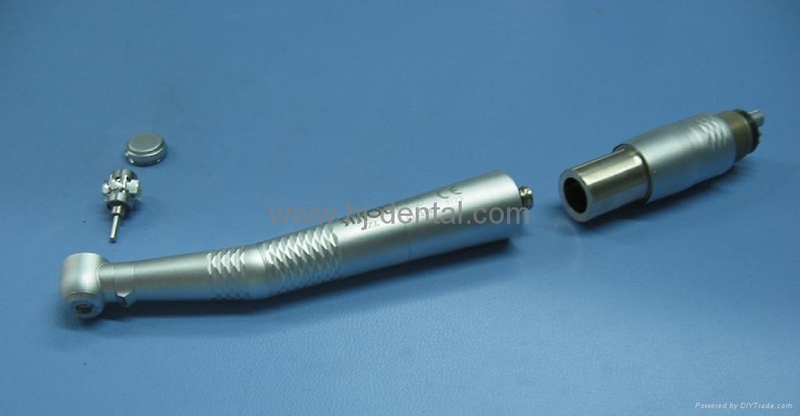 This handpiece adopts the ISO3964 standard and combine with air motor, contra angle, and straight handpiece. The connection of motor and connected pipe adopts the ISO9168 international standard. (2-hole and 4 hole available). Low speed set include one contra angle handpiece 058E, one straight handpiece 043 and one air motor 0224.